Moulded from nontoxic, medical-grade PVC compound and assembled on totally automated assembly machines with needle points inspected by electronic vision camera systems to ensure the minimal pain. Infusion set with push fit type of cap. Siliconised needle with short bevel three facet needle point. Ideal for short term delivery of drugs or perfusion of blood. Infusion set with lock fit type of cap. Protective shield ensures their is no secondary needle sticks and no reuse of device. Luer Adaptors are made of nontoxic, medical-grade polyvinyl chloride compatible with any injectable medication and have a 6% luer taper as per ISO:594. 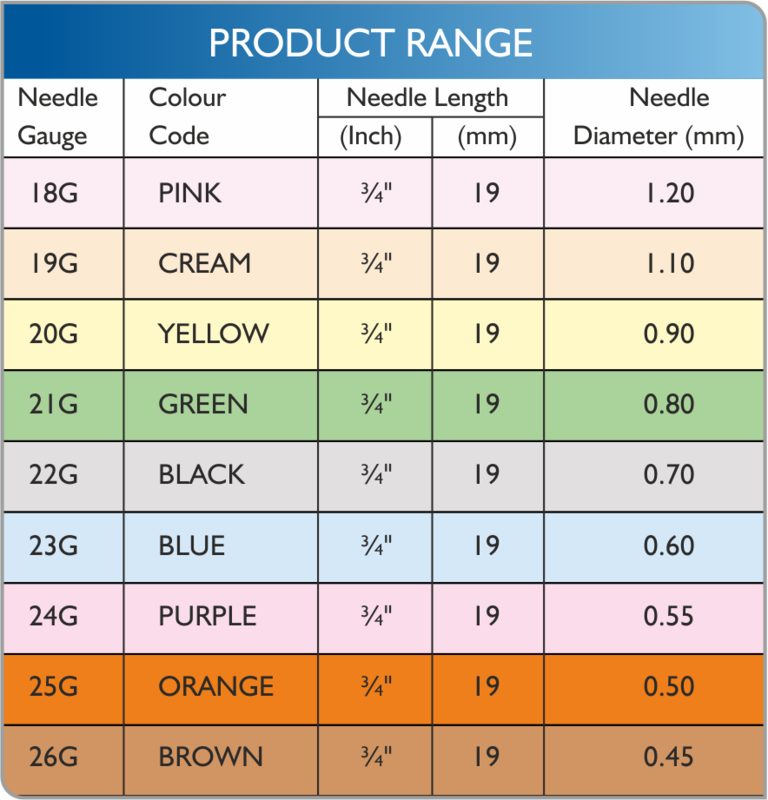 Wings are made of medical-grade flexible P.V.C and are colour coded for instant identification of the desired gauge. Link Tube : Made of kink-free, non-toxic, medical-grade flexible P.V.C. Cannulas: Burr-free 3-facet lancet-point are made from AISI 304 stainless steel. Protective Shield in UNOLOK+ assists in ensuring there is no secondary needle sticks and no reuse of device. 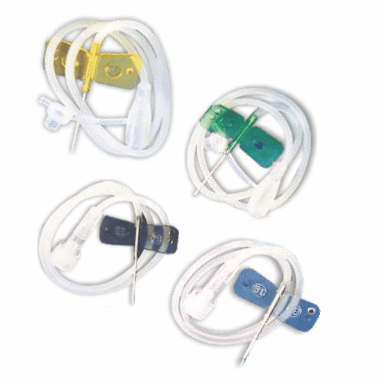 UNOLOK/UNOLOK+ infusion sets are provided with LUER LOCK connectors. Packing: The Scalpyein stes are individually packed in transparent, thermoformed, peelable blister-packs. Before use, check the integrity of the sealing of the pack. Do not attempt to re-sterilise and reuse.